Greetings Zenia Players! Sharpen those pencils and bust out your markers, because we’re having a Kingdoms of Zenia Fan Art Contest! 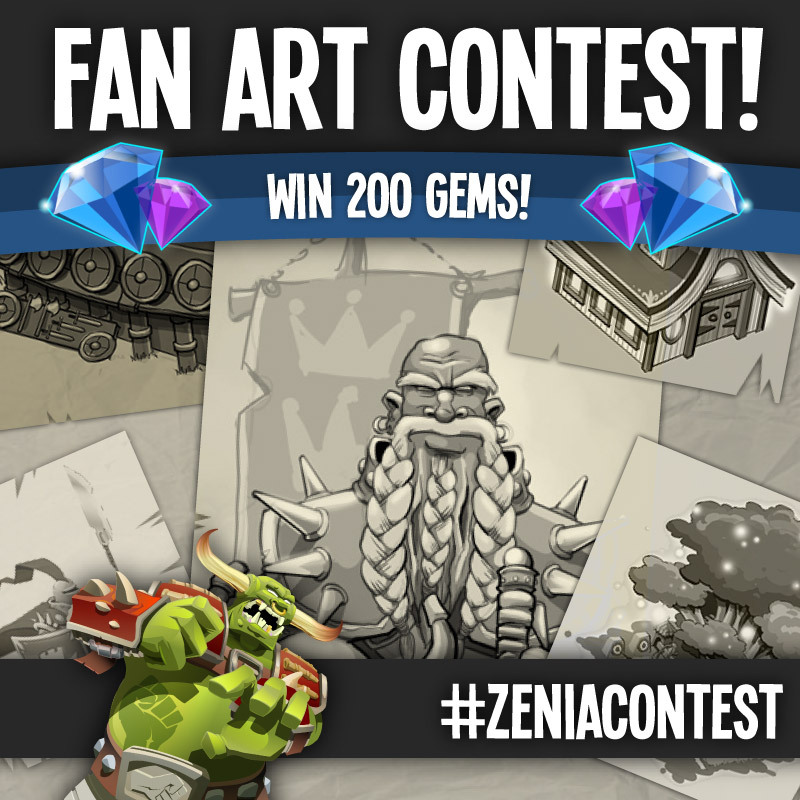 To enter, post your original fan art via Facebook, Twitter, or Instagram, with the hashtag #ZeniaContest. Make sure to use the hashtag, or your art will not be entered in the contest. You can also tag us in your posts (see handles below). We will be taking submissions until September 10th (5pm PT). So, what’s in it for you? FREE GEMS, of course! The Zhurosoft team will view all the entries and pick 10 semi-finalists. From the 10 semi-finalists, 3 grand prize winners will be selected, while the other semi-finalists will receive honorable mentions. Grand prize winners will be announced September 12th, 2013. Only 1 entry per entrant may be picked as a semi-finalist. Entries with profanity will not be entered in the contest. Zhurosoft will be creating a Fan Art Album on their Facebook, and will be displaying the entries unless specifically specified by the entrant that they do not wish to be included. Zhurosoft will contact winners directly to deliver prizes. Prizes will be delivered within a week after announcing the winners (by September 20th, 2013). Prizes are the in-game currency of Zenia. These prizes cannot be substituted or traded in for cash value.